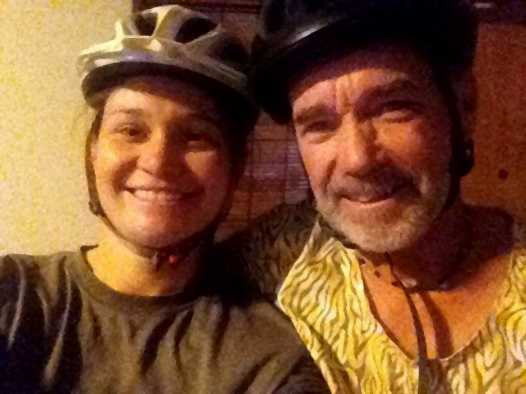 Father and daughter Qhubeka fans, Colin and Bianca Cooper, have been supporting us in numerous ways over the past few years, from buying and pimping their own Qhubeka bikes, to hosting fundraising events to helping us construct the new bicycle assembly factory as part of the Madikwe Rural Development Programme (MRDP). In 2014, they decided to do a Nine Peaks ride for Qhubeka in August, riding through each of South Africa’s nine provinces on Qhubeka Buffalo Bicycles, climbing the highest peak in each one. Tragically, the tour had to be postponed after Colin and his partner, Maggie, were attacked on their farm, resulting in both being admitted to ICU. Bianca says that the recovery process was slow, but both Maggie and Colin showed great determination, with Maggie picking up her guitar and Colin strapped to the stationary bike in first weeks following their discharge. 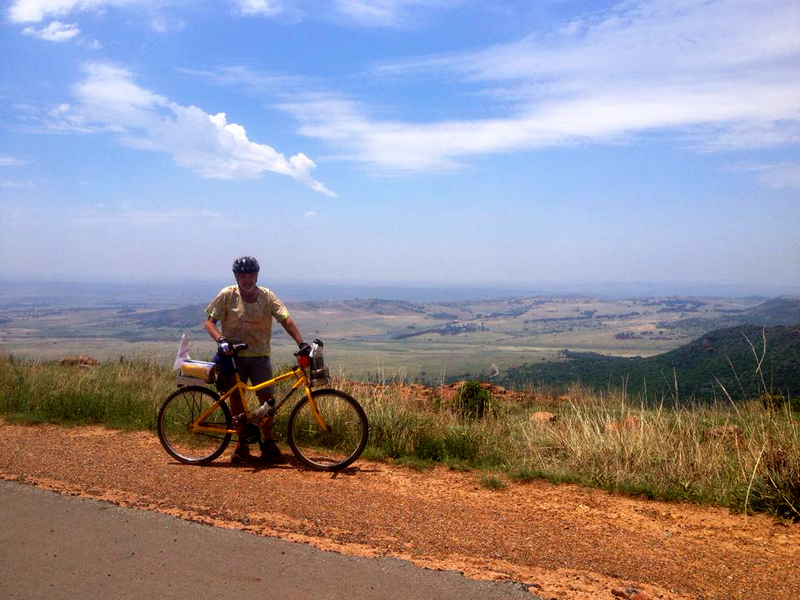 “On 10 October, Colin managed his first ride on the Qhubeka Buffalo bicycle. 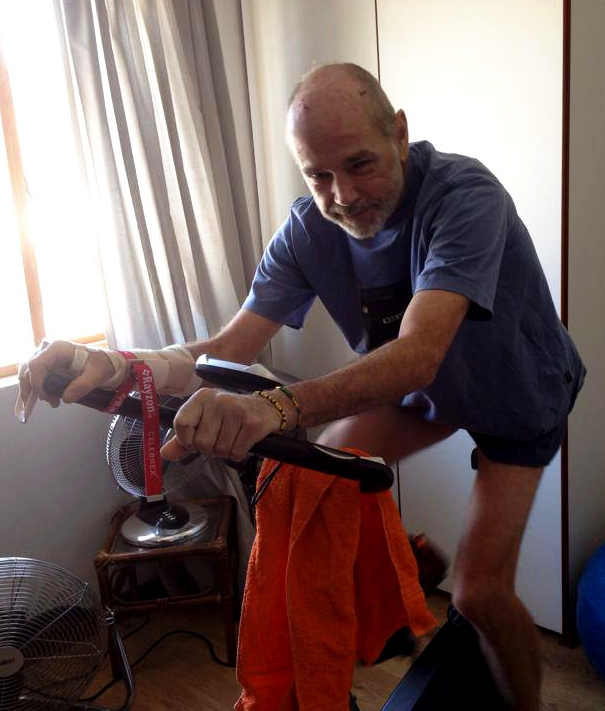 On 11 November, three months after the attack, he rode his first 100km. Both have continued to recover well and their strength gathers, although Colin still has some weakness of his fingers due to a bad fracture and tendon injury,” she says. “As clichéd as it sounds, no one ever expects that these things will happen to them, especially as the area in which they live was historically very peaceful.” She says that the community was shocked and struggled to understand how people could harm two people who have contributed so much to the area – in particular the job creation scheme at the Qhubeka Buffalo Bicycle factory. “It is difficult to remain positive when such terrible things happen, but in the days following this tragedy, we were flooded by such human kindness. Firstly from Qhubeka itself; thank you to Anthony and Giovanni for the phone calls, kind words and coffee. Secondly, my employers and our sponsors, ER Consulting Inc, who have been endlessly supportive and without question gave me a second opportunity at completing the tour. The third group of people are the family and friends who sat with us, bought us coffee, made us meals, gave us shoulders to cry on and were generally amazing. Lastly, the community of Groot Marico, who ensured that everything at the farm was sorted out so we didn’t have to worry about those formalities. The entire Nine Peaks Tour will be ridden on the solid steel Qhubeka Buffalo Bicycles, which have no suspension – just one gear and back-pedal brakes, meaning that this will not be your average cycle tour. Furthermore, the Coopers plan to live simply as they ride, without many of the luxuries that have become standard cycling fare. For example, they will live on homemade bread and water from rivers or boreholes, as well as other fresh food. They will travel by map, odometer and compass (no GPS), riding on dirt roads wherever possible. They will camp for the duration of the trip and ride in “normal” clothing. “No lycra or expensive branded cycling kit,” says Colin. They aim to take 1 000 photos and keep a blog diary of the ride. They also hope to have no mechanical failures on the bicycles. They plan to do 3 000km in 30 days, averaging 100km per day.